Robert and Kelly first met their junior year of high school through mutual friends and had somehow never crossed paths before even though they were hanging out with the same crowd. We just happened to each be at our friends’ house one night, though, I don’t think either of us knew at the time what was to come. A few months had passed before Robert worked up the courage to ask Kelly to be his girlfriend. At the time, Kelly found him to be very quiet and shy around her so she said it would be best if they remained friends. Lucky for Kelly, as soon as he got back he asked again and this time she said yes… and that’s when she knew he was the one. Kelly’s favorite things about Robert include his patience, his immense loyalty to those that he loves, and his ability to see the good in everyone. I’ve never heard him speak an unkind word about anyone. He’s also the hardest worker that I know which many people admire about him. Every year Kelly and her family take a trip to Minnesota to celebrate Christmas. Robert knows this is something that she always looks forward to since they all live in many different directions. It turned out that Robert had packed the ring in his bags with the intent to propose, but never found the right time. We had to end the trip earlier than the rest of the family due to our work schedules so we headed home the day after Christmas. That night, we were just relaxing from the long drive—eating tacos (our favorite), snuggling with our dogs, and watching our show, then he turned to me and said you have one more Christmas gift. That’s when he got down on his knee and asked me to be his wife. He then admitted that he brought the ring with, but couldn’t do it there. I reassured him that the proposal was perfect and a total surprise! When it came time to find a venue to celebrate their big day, they both knew they wanted a place that fit their personalities. 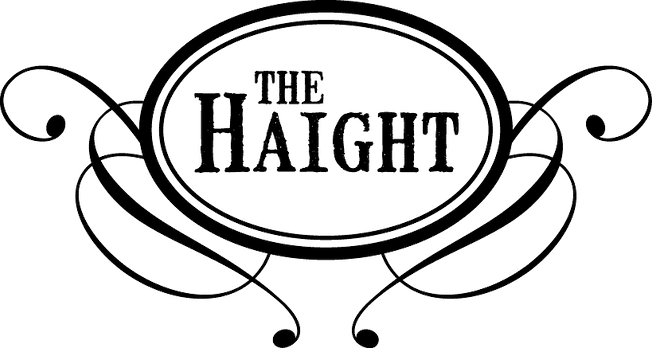 I have always been a “farm girl” and Robert has always been my “working man” so when we came to The Haight and saw the beautiful combination of the farmhouse and industrial style, we were in love! We instantly knew it was the perfect reflection of both our personalities combined. It was the first venue we looked at in person and we were not leaving without setting a wedding date! It isn’t easy for Kelly and Robert to specify their favorite part of the day because every moment was so special. Narrowing it down, they would probably go with their first look. The day goes by so fast and can be overwhelming (in a good way) at times so to have that moment alone together to just soak everything in was amazing. Since we both were too shy to read our own vows in our ceremony, we exchanged them in letters to one another at our first look….we will never forget this moment. It was so intimate and perfect. It also took the nerves away so we could enjoy the rest of the night and CELEBRATE! Kelly’s best advice for newly engaged couples is to have fun planning the wedding! We loved planning every detail and making our day truly reflect us as a couple. We strayed away from “traditional” in order to make the day our own from the venue, to the food, and even a toolbox as the cardholder! Remember what is most important at the end of the day—your marriage! Don’t stress about the little things…all that matters is that you and your best friend are together forever!